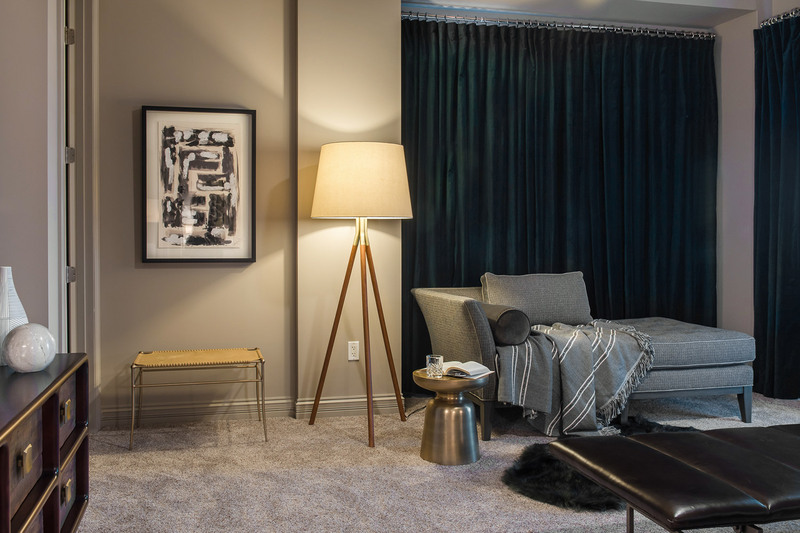 An emphasis on a modern, masculine vibe that elevates this high-rise condo from standard to stylish. 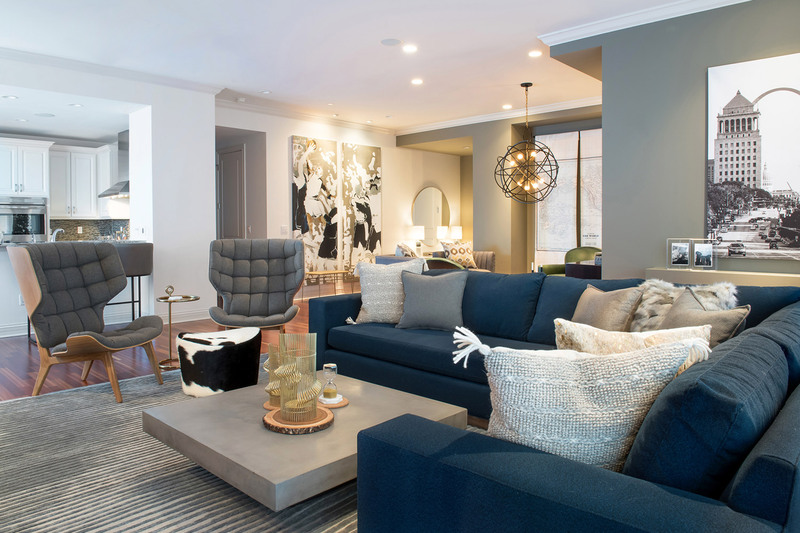 Tailored, clean lines permeate the main living and lounge spaces of this Clayton residence, allowing for a vast assortment of pieces to coexist in this open-concept layout. 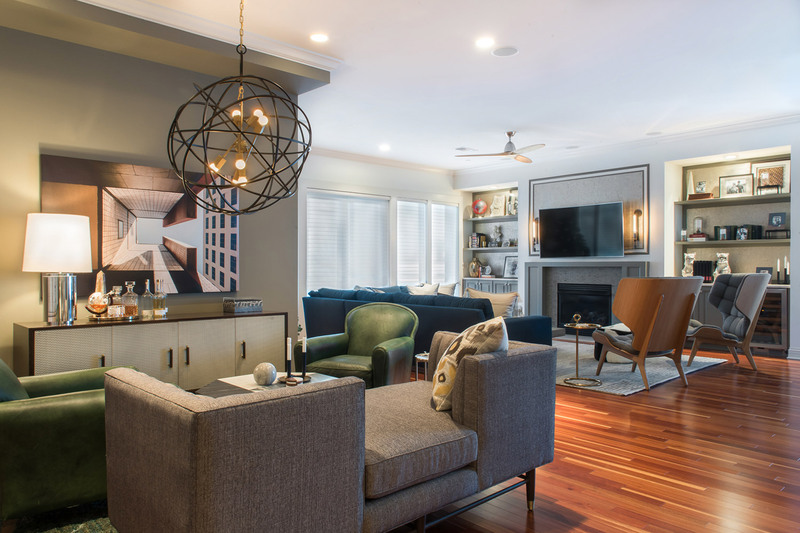 As a transplant to the city, this client wanted to start fresh with all new furniture and decor that created a masculine, but relaxed vibe for his new home. 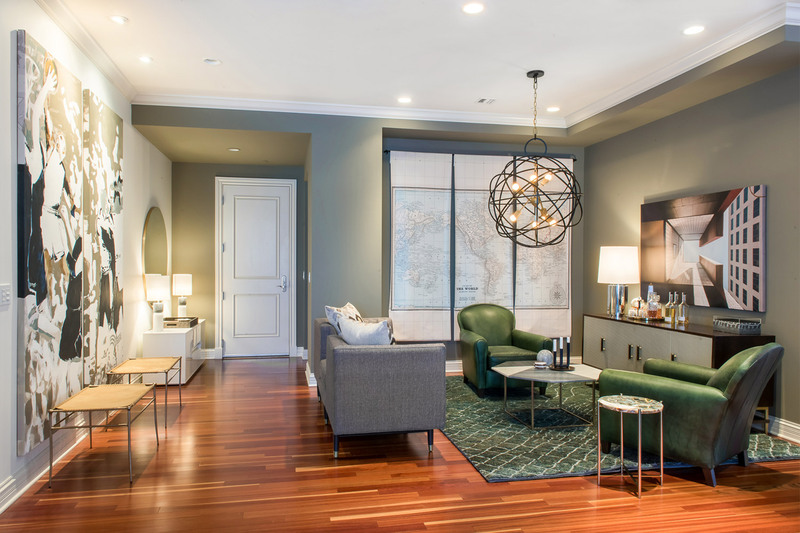 The large-scale architectural artwork and orb chandelier were carefully selected to purposely play well with the use of clean, geometric lines throughout the entire living space. 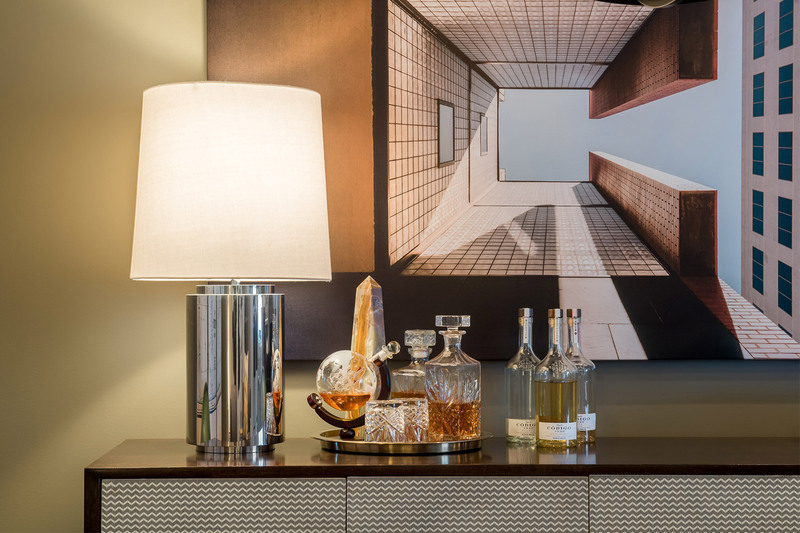 The media wall was the focal point of the room, by paying extra attention to subtle detail in the millwork. 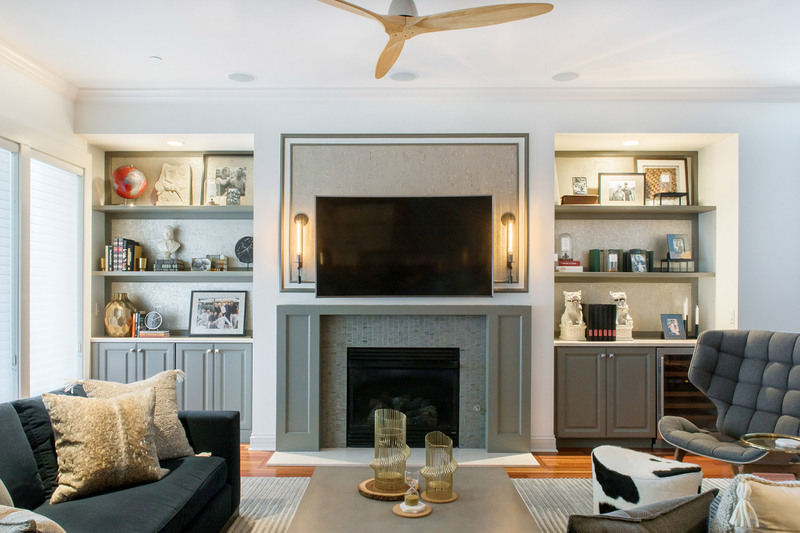 Design elements like the linear sconces, metallic cork wallpaper, and limestone mosaic tile fireplace, act as a natural frame to guide the eye inward toward the television itself, without making it the main element. 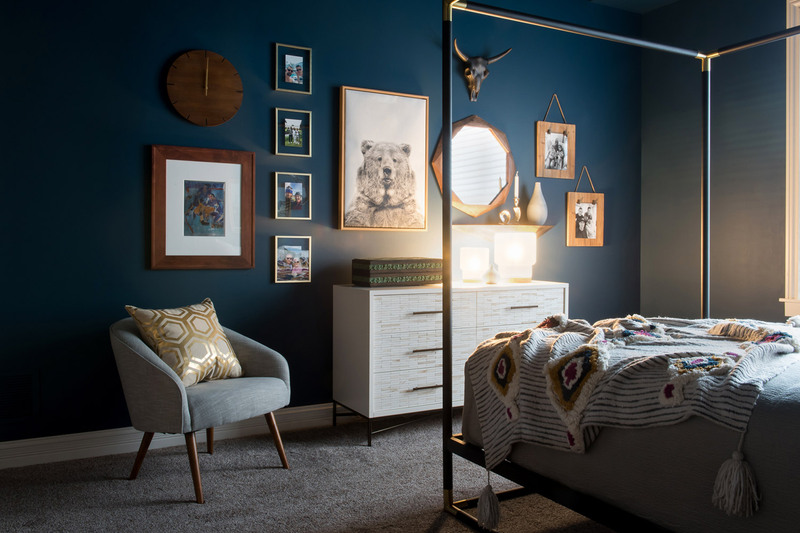 The master bedroom continues that similar mood with its simple lines and masculine vibe. For an edgy twist, large graphic typographica artwork adds an aggressively, playful tone to match the personality of our client. 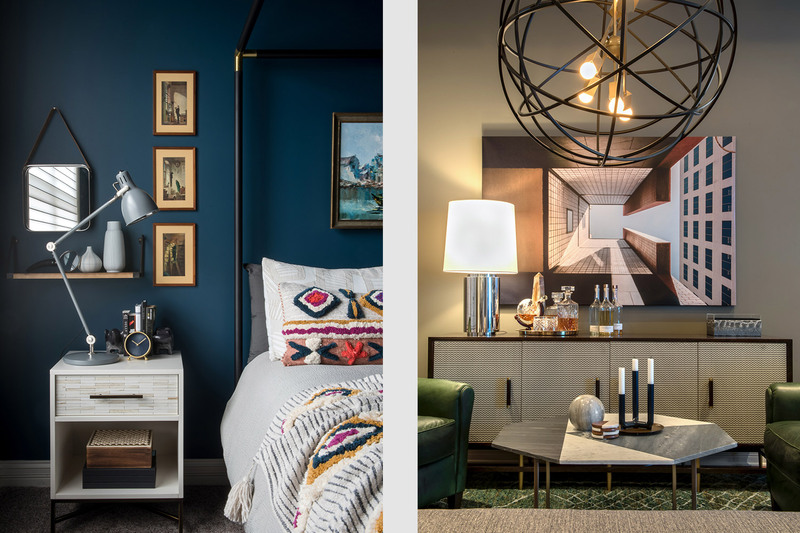 In the spare bedroom, guests are treated to an eclectic mix of artwork, objects, and accessories. 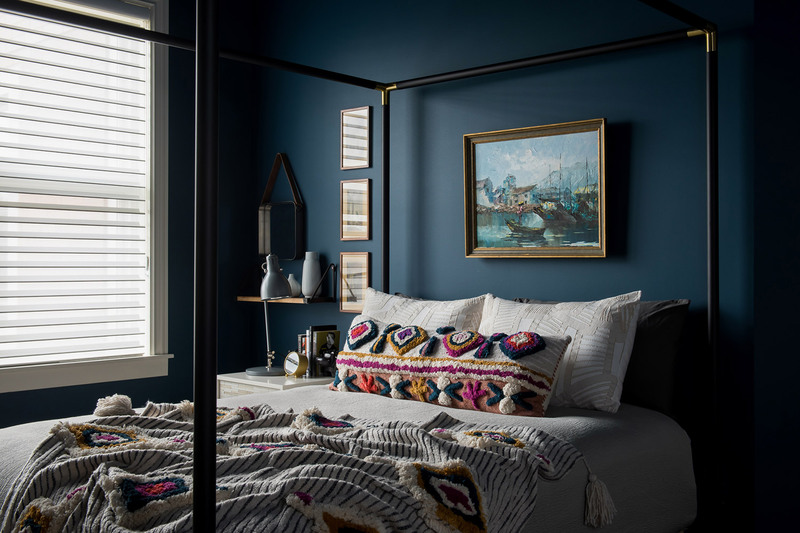 Moody, deep blue walls make the modern furniture and canopy bed frame pop with the use of colorful bedding. The focus: Comfort. This was the highest priority; making his home a place of respite from his demanding, active lifestyle.